I HAVE argued several times that tackling corruption in our political system transcends the Western ways we are resorting to. How can you ask a would-be political office holder to swear to oath of office using God as is perceived the West? The concept of God as mediated by the West is a merciful Deity that does not want the death of a sinner rather he should come to repentance. The African belief is that the merciful God cannot be expected to judge a political office holder that siphons taxpayers’ monies? Our indigenous gods (Amadioha, Sango, and Ogun) are gods that punish offenders instantly. It should be noted that there is no unidirectional pattern of social transformation in history. Societies progress, stagnate and regress. Two different societies may arrive at the same goal via radically different paths. 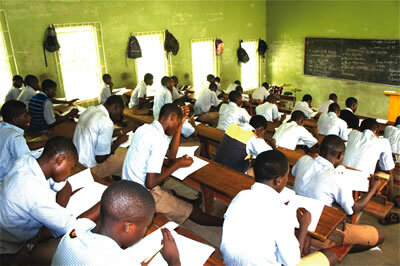 It is my fervent belief that Nigerian youths may still learn to draw some inspiration from different aspects of their intellectual heritage if they are not made to believe right from birth that their language, way of thinking, critical capacity and those of their progenitors are inherently inferior to those they learn at school. Properly guided, Nigerian youths are capable of analysing, criticising and removing the negative elements within their intellectual heritage. Borrowing other peoples’ ideas becomes necessary only when and where ours is found wanting. And every people in the world do the same on the march to civilization. There is no perfect intellectual culture anywhere in the world. It is unfortunate that most Nigerian teachers accept the intellectual superiority of the Western world and train Nigerians youth to do the same; to try to be like the Westerners so as to develop like them. However, not many have sat back to ask the fundamental question; what exactly is the nature of this development? It is not enough to give our youths half-baked truths about the past and treat these as unchanging lore, an archaic and fixed model known as Nigerian tradition. The thrust should be to develop in the Nigerian child the attitude and ability to initiate, critically examine, analyse and synthesise different elements of Nigerian cultural heritage and blend what is best in it with what is relevant in other people’s culture. It should be emphasised that the Chinese have learnt a lot from other people without losing their traditional hard work and most of their social values. Often, I believe that if development is not measured only in terms of Gross Domestic Product (GDP) and the putting in place of several physical infrastructures, and if civilisation is not reduced to Alphabetism, then some African countries are more developed than America. By virtue of this direct negation of established moral values is that we find many children in the present generation that have no care or interest in safeguarding our collective destiny, but who are entirely geared towards self-interest and licentiousness, bringing tension and societal crises. It is of paramount importance to, therefore, regulate our schools. Beyond this, we should work towards overhauling the entire educational blueprint of Nigeria’s educational system. Adequate funding according to UNESCO standard should be made available to our educational institution. There is, therefore, the need to rework our worldview and educational package, as well as other ancillary bodies and agents that would help to realise these objectives, namely the teachers, the home (family) and religious groups. Teachers should be more inward-looking in their research, so as to unearth the treasure and heritage that is uniquely Nigerian and use these to drive home their teachings. Again, there ought to be a serious attempt to use local language as a medium of instruction and learning. This is because of the psychological effect of a mother tongue on the learner. This will help to imbue patriotism in our pupils. For the family, to achieve quality from the starting point, as some experts argue, one would have to interfere extensively in the home and family life, as well as in the economic and social conditions of the parents and perhaps even in the genetic make-up of the child, so as to reduce inherited negative tendencies that could obstruct long-term achievement. One area deserving attention in this regard is the unrestricted exposure of our children to Western values, permissive modes of dress and culture of violence which many of the schools are not equipped to correct. It should be noted that human society, socialisation and development progress by means and ways through which their heritage is preserved, transmitted and internalised. These are especially their learning and training systems which initially when man had not fully woken to consciousness was by simple signal systems, but later became codified in writing forms, and in contemporary times is computerised based on the evolutionary scheme. It was these means and the contents of these experiences that are known as education which are both formal and informal. However, what constitutes the content of education at any point in time has always been the syllabus or programme of its educational institution. It can rightly be said that our educational programme does not conform to our authentic indigenous socio-cultural values. I remember the late Afrobeat musician, Fela Anikulapo-Kuti, reminded Africans that Mungo Park did not discover the mouth of the River Niger. If he did, it was for his European audience and not for Africans for it was African scouts and guides that helped and escorted him to the place. Unfortunately, African children in schools are still taught this wrong idea. As Tejumola Olaniyan posits in his book Fela! Arrest the music that “when you control a man’s thoughts, you don’t have to worry about his actions”. Albert Einstein once said, “A man’s ethical behavior should be based effectually on sympathy, education, and social ties; no religious basis is necessary. Man would indeed be in a poor way if he had to be restrained by fear of punishment and hope of reward after death”. • Oni is a postgraduate student of Department of Philosophy, University of Lagos. 08065848504 or speciela@yahoo.com.